Partnerships BC is structured into strategic service units that support the Company’s project focus and operational requirements: Projects, Finance and Administration, and Client and Stakeholder Engagement. To view the biographies please click on the individual names of the Management Team. Mark Liedemann leads the management team responsible for the planning, procurement and implementation of large and complex infrastructure projects in BC and throughout Canada. Since joining Partnerships BC in 2008 Mark has held a number of positions and has led projects in the health, transportation and energy sectors. Prior to joining Partnerships BC, Mark was a vice president at PricewaterhouseCoopers in its Infrastructure, Government & Utilities practice where he was involved in number of partnership projects in the health, transportation and rapid transit sectors. Mark holds a Bachelor of Science from the University of British Columbia and a Masters of Business Administration from the University of Victoria. Mark earned his designation as a Chartered Financial Analyst charter holder in 2003. Chan-Seng Lee joined Partnerships BC in December 2004. As Vice President of Finance and Administration, he is responsible for finance, information technology, human resources and administration for Partnerships BC. He brings 10 years of experience in finance, taxation, mergers and acquisitions, regulatory reporting, information technology, human resources and administration and corporate governance to the Company. Prior to joining Partnerships BC, Chan-Seng was the Chief Financial Officer of CML Global Capital Limited, a publicly-listed international investment firm and an officer of Aspen Properties Ltd. and Consolidated Properties Limited, commercial real estate companies. Prior to this, Chan-Seng worked extensively with private companies in the areas of finance, acquisitions and taxation. Chan-Seng is a Chartered Accountant and is a current member of the Institute of Chartered Accountants of British Columbia and the Canadian Institute of Chartered Accountants. 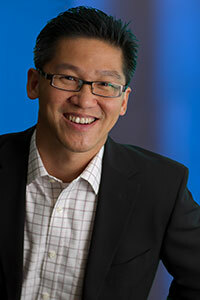 Chan-Seng also holds a Bachelor of Commerce degree in Finance from the University of British Columbia. Jeff Good is Vice President at Partnerships BC, with a focus on the health and social infrastructure sectors. Jeff brings a strong finance, capital markets and procurement background to projects with Partnerships BC’s involvement. Jeff has been involved in the planning and procurement of projects in the health, transportation, and water treatment sectors. Prior to joining Partnerships BC, Jeff worked at the Credit Union Central of British Columbia (CUCBC, now Central 1 Credit Union) as a Financial Risk Management Analyst. Jeff played an active role in all matters of investment policy compliance and management of CUCBC’s $3.5 billion dollar (CDN) portfolio. In addition, Jeff has worked at Toronto-Dominion as a Trader, and at National Bank Financial as an Investment Advisor. Jeff has a Bachelor of Business Administration with a Finance Major from Simon Fraser University. He is a Chartered Financial Analyst (CFA) charter holder and past executive member of the board of the CFA Victoria society. David Hubner is Vice President at Partnerships BC, with a focus on the transportation and utilities sectors. He has a Master of Business Administration (Finance) and an economics degree and spent ten years in the banking sector and corporate finance area prior to his work in procurement. Over the past nine years, David has been involved in a number of major capital projects in the transportation, energy and accommodation sectors that have provided measurable benefits to end users and taxpayers. Karen Mill joined Partnerships BC in 2002. As Corporate Legal Counsel, she provides advice on corporate legal issues. In addition, Karen is responsible for providing project legal support primarily during the project procurement stage. Karen articled with the B.C. Ministry of Attorney General and was called to the B.C. Bar in September 1998. She has worked primarily in the B.C. public sector in the area of capital procurement and budgeting and also has a background in information and privacy and corporate law. Prior to working with Partnerships BC, Karen worked with Capital Division, Treasury Board Staff, B.C. Ministry of Finance, the BC Transportation Financing Authority and the Ministry of Employment and Investment. Karen has a Bachelor of Arts and a Bachelor of Laws from the University of Victoria. She is a member of the Law Society of British Columbia and the Canadian Society of Corporate Secretaries. Kim Anderson is Assistant Vice President at Partnerships BC. Since joining Partnerships BC almost five years ago, Kim has worked primarily in the accommodations sector. She brings in-depth knowledge of Partnerships BC’s service offerings blended with a deep understanding of design and construction, drawing from her engineering background‎. Prior to joining Partnerships BC, Kim was the managing principal for a large consulting office in Victoria, responsible for project delivery, strategic planning, financial performance and acquisition integration. Kim holds a Bachelor of Science degree in Civil Engineering from the University of Manitoba, and a Master of Business Administration degree from the University of Victoria.